Continuing the theme of flashback posts, just a small post for today. 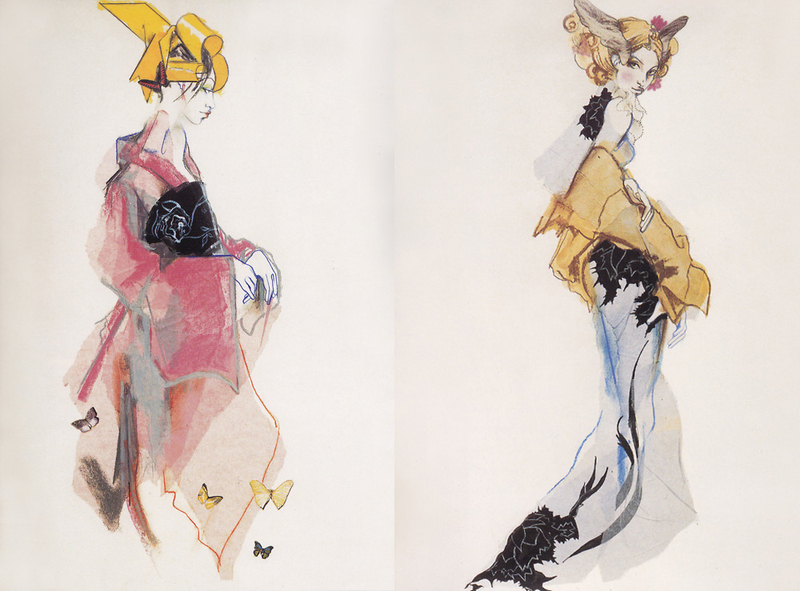 I remembered having recently seen these by Verhoeven, design drawnings back in 1994 for John Galliano, who she was then assisting. You can see straight away in the loose shapes, the description of the fabric and twisted body proportions Julie's markmaking ability that would later come to define her work.The faces here however were more attuned to a regular way of approaching drawing facial features, in terms of their proportions etc. So it's really cool to see her line work for bodies and figures eventually made it's way to her faces too.